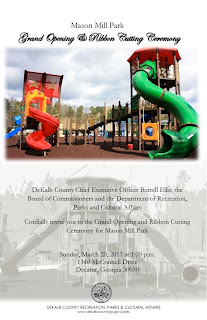 Mason Mill Park, as you know, has undergone recent renovations and the long-awaited ribbon-cutting ceremony will take place this sunday, 1pm [1340 McConnell Dr., Decatur GA 30030]. 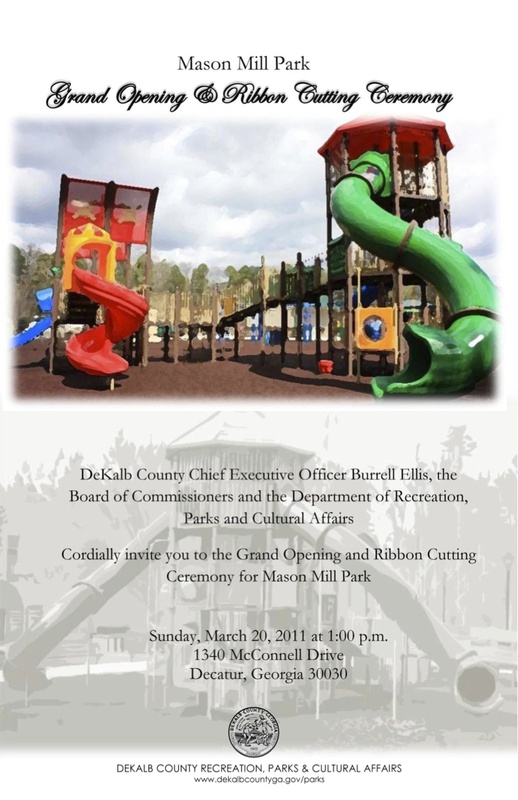 We are expecting fantastic weather this weekend, too. A perfect match.